In a partnership with SJSU IT, Academic Affairs, and eCampus, San Jose State University significantly expanded the number of user licenses for Adobe’s Creative Cloud to include all actively enrolled SJSU students along with our faculty and staff. Creative Cloud has become a core component to many disciplines, making it an industry standard. San Jose State’s Creative Cloud membership provides access to all of Adobe’s enterprise-level tools, used in a variety of disciplines—from Humanities, Sciences, Engineering, Arts, and more. With this license, all actively enrolled students can download any or all of the applications to their desktop or laptop computer or use Adobe’s mobile apps to create and inspire when on the go. Plus, files saved to a secure Creative Cloud account are accessible from any device with internet access, so your work goes with you. Visit the eCampus Adobe Student Webpage and access the self-service application to request an Adobe enterprise account. Shortly after completing the request form, you will receive an email invitation with access instructions. Once you’ve registered, you’ll have access to Creative Cloud until you’re no longer registered for classes at SJSU in the current Fall or Spring semester. After you’re no longer an active student or university employee, you’ll be notified in the change in status and encouraged to save all your work locally. Any files remaining in Adobe’s Cloud are permanently deleted once your access is removed. We’re excited about this partnership and look forward to seeing the amazing things Spartans can do with the unlimited creative possibilities in Adobe Creative Cloud Applications. 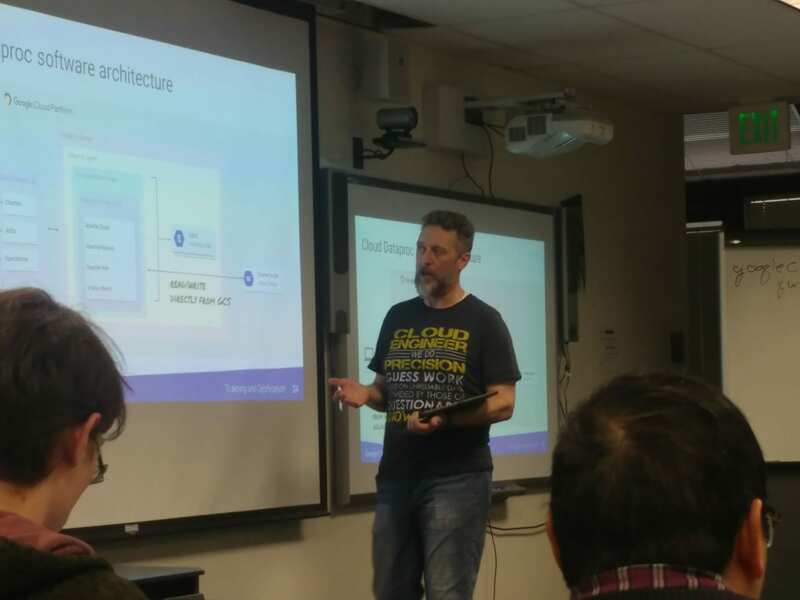 In a first among the CSU system, Google partnered with the SJSU IT Division to host a workshop on some cutting-edge cloud technologies: Artificial Intelligence, Machine Learning, Decision Learning, and Data Engineering. Close to 500 Spartans (including students, faculty, researchers, and staff) signed up to attend the January 8-11 event in Clark Hall, though we could only fit 50 into a packed room. 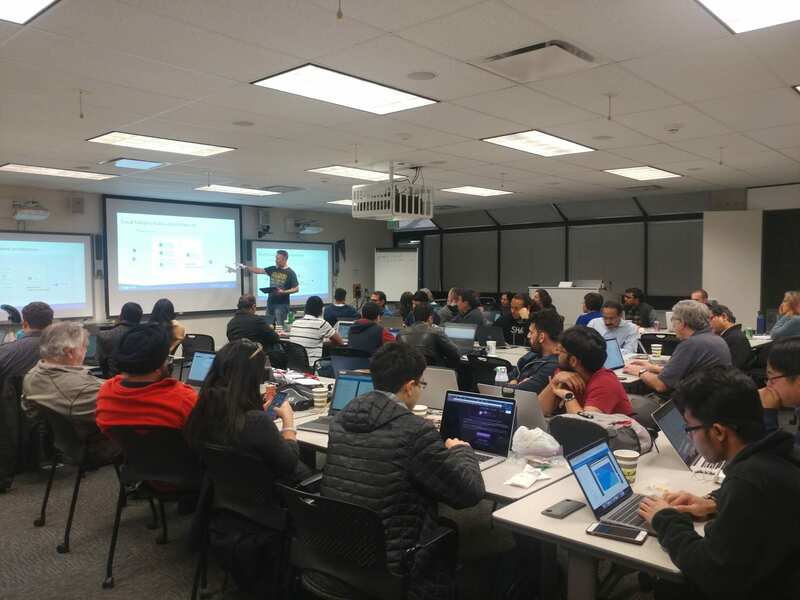 The workshop brought one of Silicon Valley’s biggest tech giants to campus and augmented academic knowledge with hands-on opportunities from a field expert, delivering on IT’s promise to bring enterprise-grade academic technology advancement to SJSU. 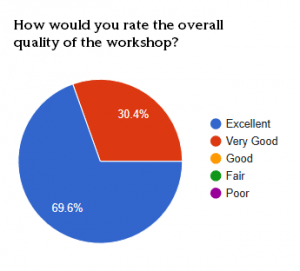 In a follow-up survey, 100% of respondents rated the workshop as Very Good or Excellent and 100% said they would attend a future workshop hosted by IT. “The content of the workshop is very informational and advanced in the cloud platform field. The hands-on labs are interactive exercises those make me understand the concepts well and be involved in the learning process,” said one. When asked valuable the session was in supplementing academic knowledge, 90% of the responders rated the workshop Very Good or Excellent. SJSU IT looks to roll this success forward into future events. Participants in the workshop expressed interest in a number of other topics for possible future workshops, with Artificial Intelligence and Blockchain leading the way followed by Cybersecurity and Virtual Machines. 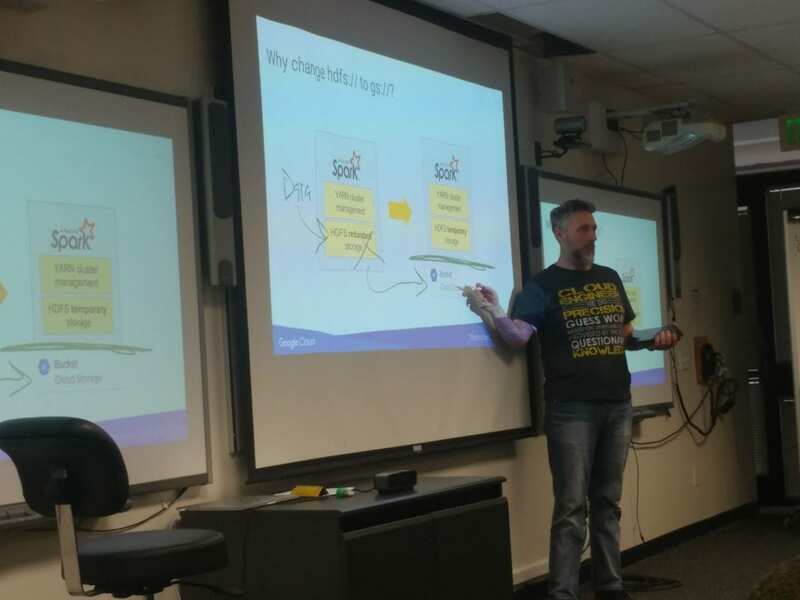 While many of participants were SJSU students, there were plenty of researchers, faculty, and staff, all gaining practice and experience with enterprise-level tools to carry into the classroom or implement within the university’s IT and research infrastructures. “Overall the topics covered on GCP was exceptional. SJSU is currently exploring the implementation of cloud-based BI and Predictive analytics strategy. The timing of these workshops is just perfect and they allow the technical team to perform comparisons and benchmark for the ideal solution that is beneficial to SJSU,” said Ravi Pisupati, a Senior Analyst & Project Manager with SJSU. Thank you to everybody involved in making this event a success. It certainly didn’t go unnoticed, as one attendee commented, “The room had a speedy WIFI connection and wonderful setup screens. Thanks for organizing everything so well for us. Their effort and hard work made the intensive experience much easier.” I could agree more and want to specifically thank Joseph Chou and Willie Simon for their work on this event.